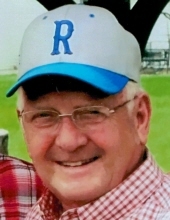 ROCKVILLE-John I. DeMoss, 78, of Rockville, Indiana passed away at 10:12 pm Tuesday, March 19, 2019 at Clinton Gardens. He was a retired maintenance coordinator for Public Service Indiana Cayuga Generating Station with 32 years of service. He was born March 8, 1941 at Sanborn, Indiana to the late Samuel T. DeMoss and Edeine Fielden DeMoss. His wife of 57 years, Judith D. Scott DeMoss whom he married August 19, 1961 in Lawrenceville, Illinois survives; also surviving, his children, Kristi (Gary) Greene of Rockville, Scott (Cara) DeMoss of Sullivan and Jill (Mark) Paddock of Rockville; one sister, Sandy (Larry) Bohmeier of Vincennes; eight grandchildren, Brandon (Jennifer) DeMoss, Derrick (Adrian) DeMoss, Carsyn Wayland, Camden Wayland, Luke (Emily) Greene, Lindsey (Mason) Snyder, Kyle Paddock and Ben Paddock; five great-grandchildren; several nieces and nephews. He was preceded in death by two brothers, Tom and Jim DeMoss, three infant brothers and a grandson, Andrew Warren Paddock. He was a graduate of Edwardsport High School and served in the U.S. Navy from 1960-1964. He was a member of the Rockville Christian Church and a former member of the Rockville Elk’s lodge #2471. He was an active volunteer and coach for the Rockville Little League serving on the board as president and was instrumental when the league installed lights on the fields. He was also active with Junior Achievement at Rockville High School. Memorial services will be 2:00 pm Monday, March 25, at Gooch Funeral Home, 112 W. Howard Street, Rockville, with Rev. Greg Robbins and Jeff Messel officiating. Inurnment with military graveside honors by Parke County veterans will follow at Memory Garden Cemetery, Rockville. Memorial visitation is 12:00 noon until time of services Monday at Gooch Funeral Home. Memorials should friends so desire, may be made to Gideon Fields at Parke Heritage High School, 506 N. Beadle Street, Rockville, IN 47872 in his memory. To send flowers or a remembrance gift to the family of John I. DeMoss, please visit our Tribute Store. "Email Address" would like to share the life celebration of John I. DeMoss. Click on the "link" to go to share a favorite memory or leave a condolence message for the family.